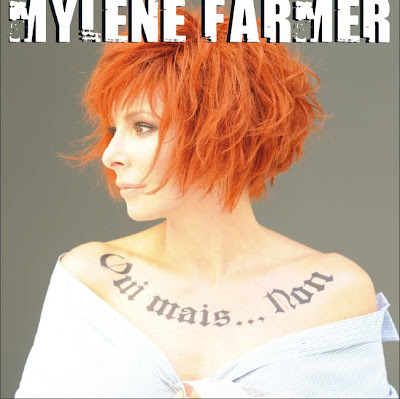 Further proof that French singer Mylène Farmer is a Goddess - the brilliantly beautiful video for her new single, "Oui mais... non." A little bit Gaga-esque in concept, the Chris Sweeney-directed video features the ever gorgeous Farmer surrounded by a whole slew of costumed dancers. Ms. Farmer even busts out some fierce dance moves herself. The video, which premiered on November 16th comes out nearly a month after the single's digital release (on October 11th). It's set to be the lead single off of Farmer's forthcoming eighth studio album, Bleu Noir, which is due out in December. The song was co-written by Farmer and RedOne (who was a massive fan of the French artiste) and produced by the latter. Upon it's release in October, the song went straight to #1 on the French Digital Chart before dropping to #17 the following week. Despite having NO idea what she's saying (the title translates to "Yes...but no" I can't stop myself from loving this song. Music is really a universal language in and of itself, so who cares what language the lyrics are written in. Farmer's even found a fan in both Lady Gaga and Kylie Minogue, both of whom have publicly professed their adoration for the track. While I sincerely doubt Farmer will ever hit it big Stateside I would love to see her. She's such a brilliant and iconic artist. Everyone should know her name. "Oui mais... non" was remixed by Tomer G, Jeremy Hills, Klaas and Chew Fu. Click the video still below to be directed to the actual video. Universal France wouldn't let me embed it. Oh and check out the newly released video for a song called "Leila," also taken off of Bleu Noir. Not sure if this is the official next single or not but it's a beautiful track. I have to be honest - the whole concept for the new Joe McElderry video confuses the hell out of me. What's with the movie clips if the song isn't appearing in the movie? Is this just the label being cheap? The video features clips from new movie The Chronicles of Narnia: The Voyage of the Dawn Treader but "Someone Wake Me Up" doesn't actually appear in the film. Instead, the single's B-Side, "There's A Place For Us," (sung by Carrie Underwood for the U.S. release) will play during the film's end credits. So confusing! I guess "There's A Place For Us" won't be getting it's own video so the label decided to throw together some scenes from the film and put them in the video for Joe's second third single which isn't appearing on the film's soundtrack? Just seems a little lazy to me. That all being said - let's discuss the song itself. It's good. I really like Joe McElderry. I like his voice. I like his range. I like his courage and bravery in coming out of the closet. He's absolutely adorable. I just like him. While I think "Ambitions" was a catchier song, "Someone Wake Me Up" isn't that bad of a follow up. My biggest complaint is that the video is just a bit too distracting for me...more Joe less Narnia please...specifically more rain-soaked Joe if at all possible. 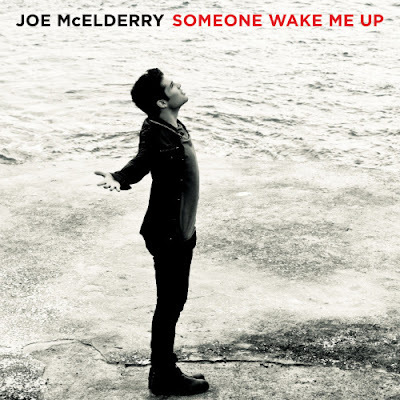 Co-produced by Ray Hedges and Nigel Butler, "Someone Wake Me Up" is due for release in the UK on December 5th. Check out the movie trailer video clip below. 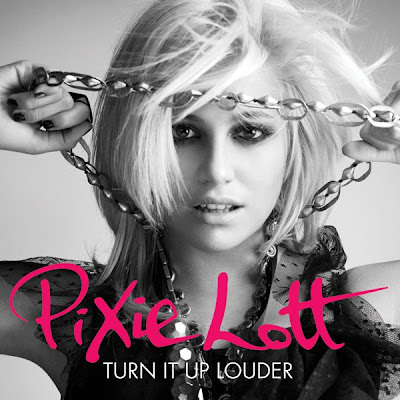 BLAH it's another ballad, this time from Pixie Lott. "Can't Make This Over" is the second single released from her album re-release, Turn It Up Louder. The follow up to her Top 12 single "Broken Arrow," "Can't Make This Over" was co-penned by Eve Nelson and UK singer/songwriter Daniel Bedingfield. The video has Lott moving backwards through time as if she's rewinding the day after messing something up (not entirely sure what she wants to "make over"). While she "can't make this over" she's still playing the events of the day back in her mind. It's a clever little video but the song is just OK for me. It is nice to see Daniel Bedingfield back doing something, though I'd rather it be in a recording studio. For now this will have to do. "Can't Make This Over" is due out December 20th while Pixie's U.S. debut on Interscope Records is expected in the New Year.